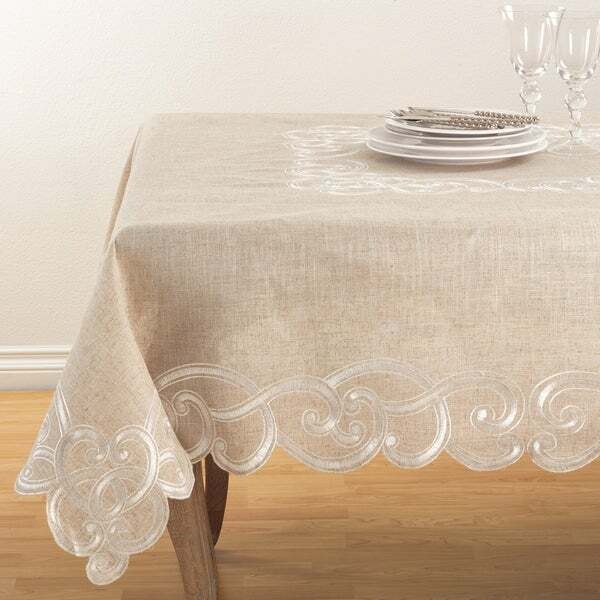 Embroidered flourishes and scalloped trim bring a casual, yet elegant quality to this tablecloth from Saro Lifestyle in a linen-blend construction for a natural and easy everyday look. Dimensions 140.0 In. X 67.0 In. X 0.25 In. This is a beautiful table cloth! Looks great on my table! Lovely, neutral color and the design is beautiful. Just redid my table decorations and it looks lovely.